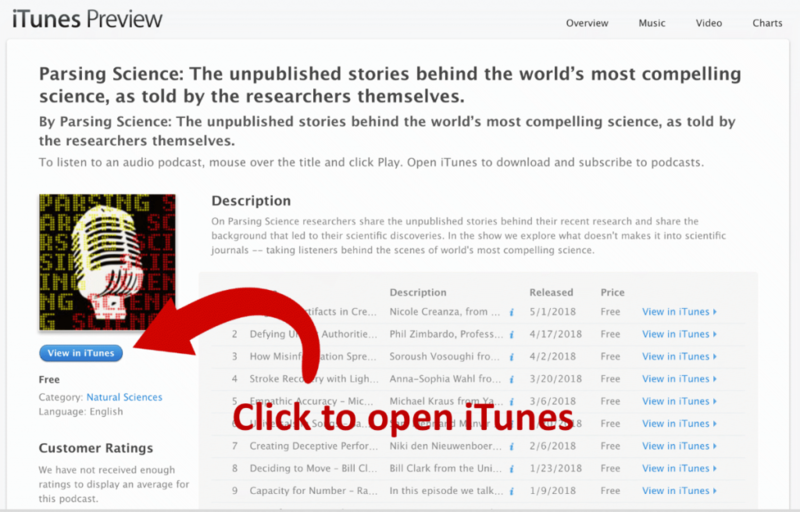 Step 1: Go to the iTunes Preview page for Parsing Science. Step 3: Click the Subscribe button you see here (if you haven’t already) to review the show. 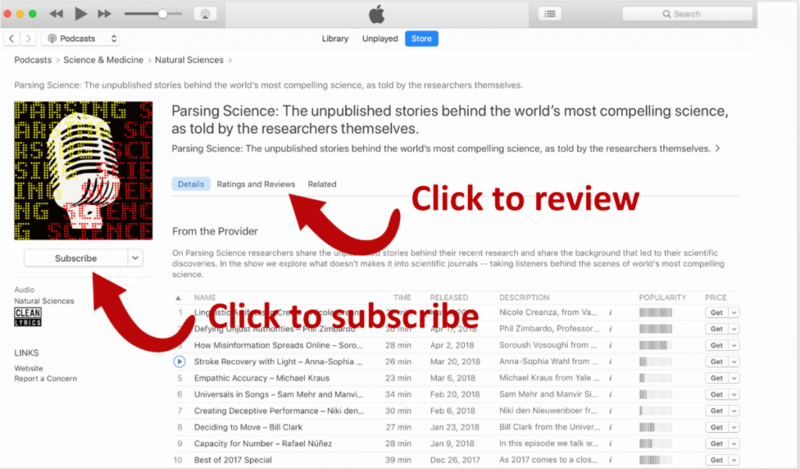 I’m not sure if this step is necessary to leave a review, but clicking it will subscribe you to Parsing Science, which will help the rankings. Step 4: Click the Ratings and Review tab as highlighted in the image above. Step 5: Rate the podcast by selecting 1 to 5 stars (If you enjoy the show, please consider a 5-star rating). Thanks for taking the time to review the podcast. It means a lot to us, and to the show. Just like with books, higher ratings mean greater discoverability.